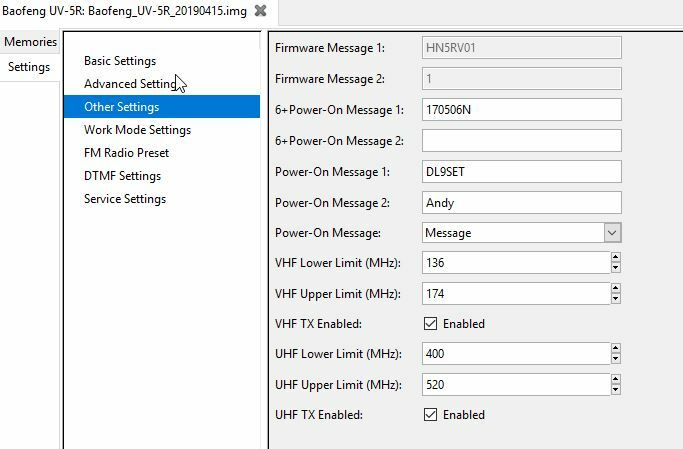 I needed to make some changes to my Baofeng UV-5R memory settings. Doing that manually is very unpleasant, and I have a programming cable, of course. 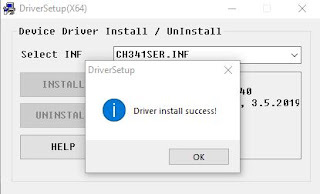 The most important thing is to have the right driver installed. The adapter acts a serial interface adapter and needs a driver for that. I googled the ID of the adapter. The nearest match was the CH340 from wch.com. The driver can be downloaded from here. 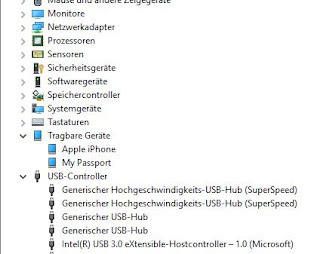 The programming adapter apparently has to be plugged in when running the setup (with Admin rights), otherwise the driver installation failed on my machine. 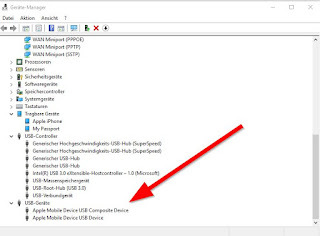 To confirm the successful installation, check your device-manager. There should now be a new serial port. Com3, in my case. Chirp is a fantastic piece of software that allows to program a wide variety of radios. Chirp can be downloaded from here. The daily build usually is the best version to use. 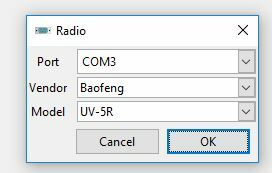 I usually download the current setup from the radio, modify it and upload it to the radio. For normal simplex work, I use the old fashioned, wide deviation FM settings. That might vary from region to region. 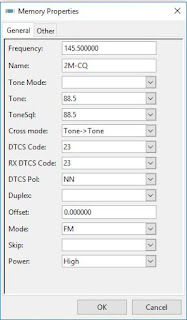 There are some unused settings here for the tone squelch. The important bit is to have the Duplex field empty. 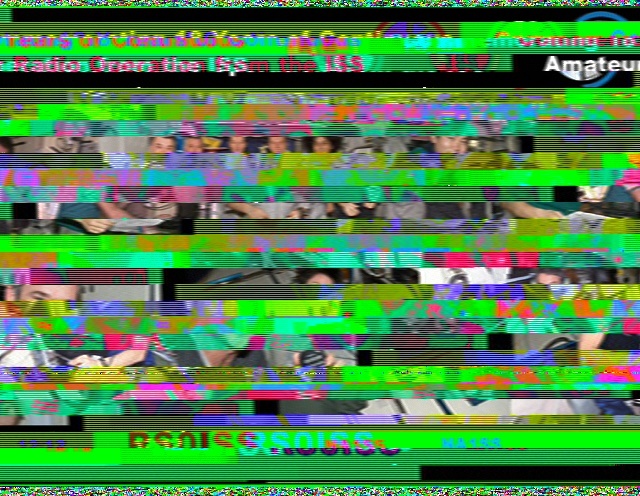 The 2m repeaters in my IARU region have negative 600kHz offset for their input. This repeater doesn't need any tones. Sometimes you might want to just listen in and be 100% sure you don't interfere with a service you have no license for. In that case, set Duplex to "off". 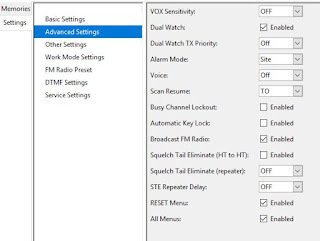 If you press the PTT key, the radio won't transmit. 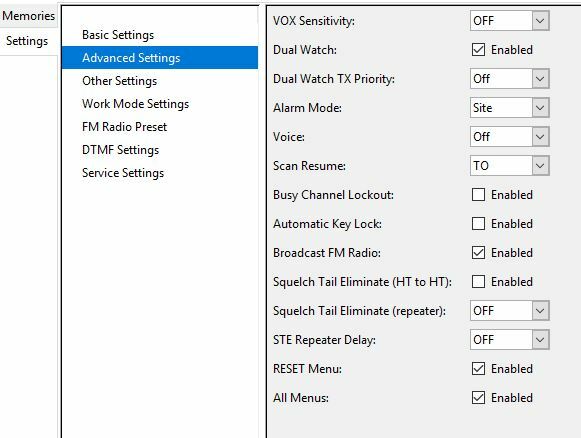 An interesting feature for those not-yet holding a ham-radio license. 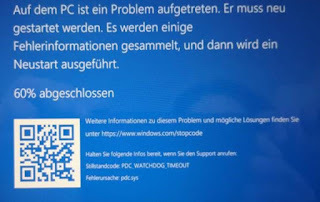 This problem affects all Microsoft Surface PCs (Surface Pro 4 and newer / Laptop 1+2) using the "brick" type dock rather than the older stands. Our good quality Eizo monitors turned black during work or were not recognized by the Surface PC, when conected with a mini Display Port (MiniDP) to DVI cable or adapter. Microsoft recommends two adapters here on their website. Unfortunately none of these is available inside the EU at the moment. So I ordered the "Cable Matters mDP-to-DVI (model 101022)" directly from the US to try it out. And sure enough it worked. But I need about 50 of them and would have to get someone to import them to Germany. Too much trouble for my suppliers. So if the Cable Matters adapter works, and the gofanco has a PS171 chipset, the next step is to find out what chipset Cable Matters uses. If it is the PS171, too, we have a well founded theory. I needed a microscope to be sure, but this is a PS171 chip. The DeLOCK mini DisplayPort to DVI Adapter 62603 lists the same PS171 chipset on it's spec sheet here. And also shares other buzzwords like "Eyefinity" on the list. I ordered one and I'll report back when we tried it out. 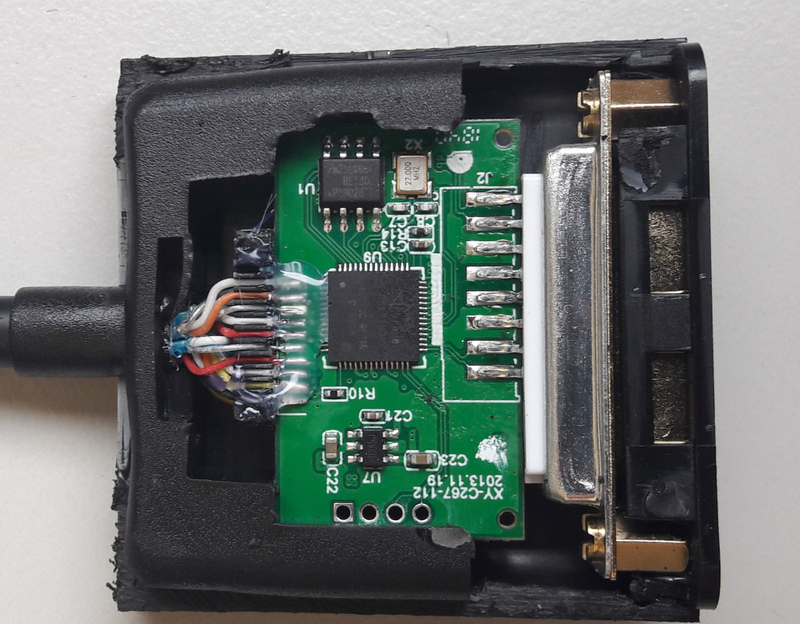 We had one user testing the DeLOCK 62603 adapter for over a week without any problems. In the meantime, the gofanco adapter arrived from Amazon US. That one (, being recommended by Microsoft,) also works as expected. 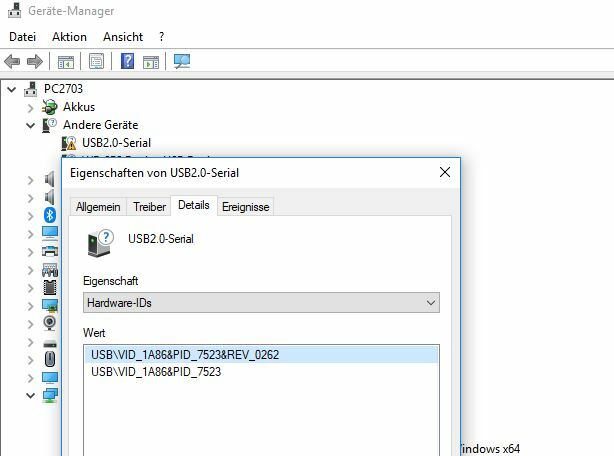 For Microsoft Surface pro (Version 4 and newer) and Surface Laptop (Version 1 and 2) with the new surface dock, use miniDP to DVI-Adapters with the Parade PS171 chip. 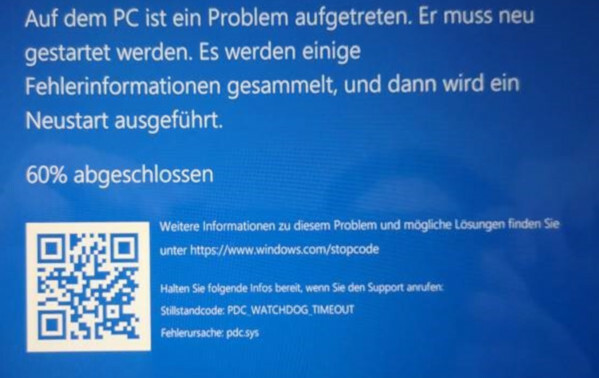 We had complaints from users, mainly with Microsoft Surface Pro, that they suffered from random bluescreens (BSOD - Blue Screen Of Death). 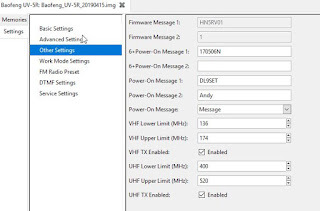 They refer to it as "Solution ID:1121872" the file is "Ti_1500_win_en_AMSP60_hfb1278.exe"
From the support website, it is not clear of that also works for Office Scan. We haven't rolled the fix out at this moment. I'll add a success/fail notice once we have done that. Ok, I had noticed that for a while my trusty old Dell Latitude e6400 had stuttered on audio playback. But as I hardly ever use that Laptop for video or music, I didn't really care. 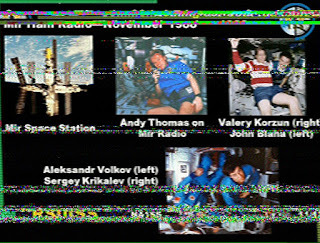 I was very happy to read, that ARISS announced an SSTV event for February 8th to 10th. After some initial tests from home on Saturday. I decided that a trip to the open fields with some tech stuff to capture images from space was a great father & son activity. So far so good. 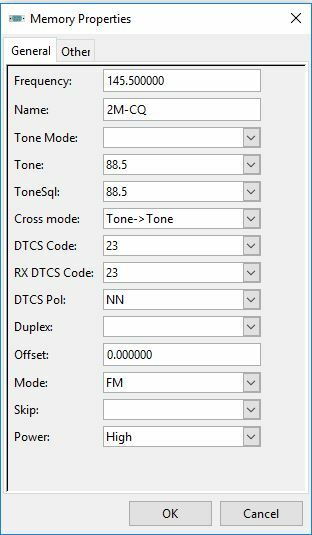 So I packed my SDRPlay RSP2pro, a HB9CV antenna, some cables and my Dell Laptop. The plan was to capture the ISS-pass from 12:50 to 13:00 CET with SDRuno and process the captured I/Q data later. 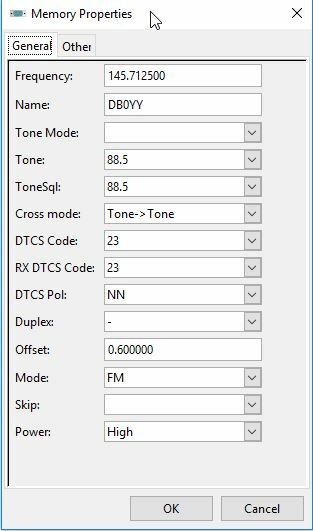 This went quite well and thanks to the fact that we could see all of the satellite band, we heard interesting FM traffic on 145.960MHz from stations all over Europe. 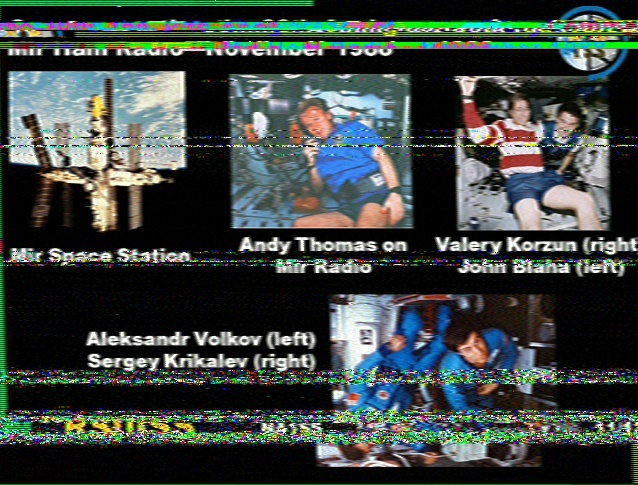 When finally the ISS came into view, we saved the whole pass to a .wav I/Q file, at the same time trying to decode the SSTV on my mobile with BlackCat's SSTV app. This worked rather poorly, but as it was very windy, I didn't think much of it. Despite of that, I knew that audio on the laptop was a bit choppy. But that should not affect the I/Q recordings that didn't pass the sound driver. Ouch! That didn't work out. Ok, I could even hear that, when listening to the recording, approx. every five seconds, the interval between the sync pulses was shorter than expected. This meant, that the Dell Laptop completely froze every 5 seconds, and it was quite possibly not just a sound problem. 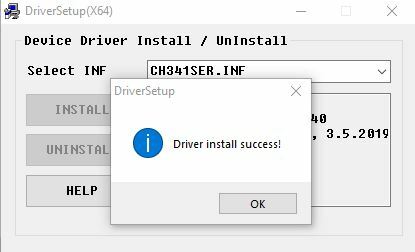 After re-installing drivers one-by-one from the Dell Support Website, it is extremely likely the storage driver was the culprit: After I had reinstalled the Intel Rapid Storage driver from Dell's site, the problem went away. But now the 3.5mm phone jack is gone and I love my trusty old earphones. I got the Hoco ls6 from my trusted Chinese source here. It is much more sturdy that the original Apple adapter and has the added benefit of having a charge port. The only downside I found so far was, that it is poorly shielded against RFI picked up by the headphone cable. At night, I set the iPhone's timer to end playing after 15 minutes, plug in my favourite (because of their low profile) Sennheiser CX 300 in-ear headphones and fall asleep almost immediately, only to find my phone's battery almost empty about seven hours later. Listening for 15 minutes can't be that bad, and I haven't seen the phone discharge that quickly with the screen off, especially in power save mode. This is not a huge issue, but worth investigating. The "battery" menue in the settings now is a lot of help when dealing with power issues. I think it is pretty obvious: The adapter uses some of the phones power. This is not amazing as such. There is a nice analysis over on ifixit.org that shows the details of what it takes to get audio in and out of the lightning connector. Used the phone normally after unplugging the adapter. Effect is not so obvious. This means that the adapter does not play well with the iPhone's otherwise very elaborate power management. Some sites claim that the ls6 is mfi certified by Apple. The phone does not show a warning message, so that might well be true. But I can't find the adapter in Apple's database here. 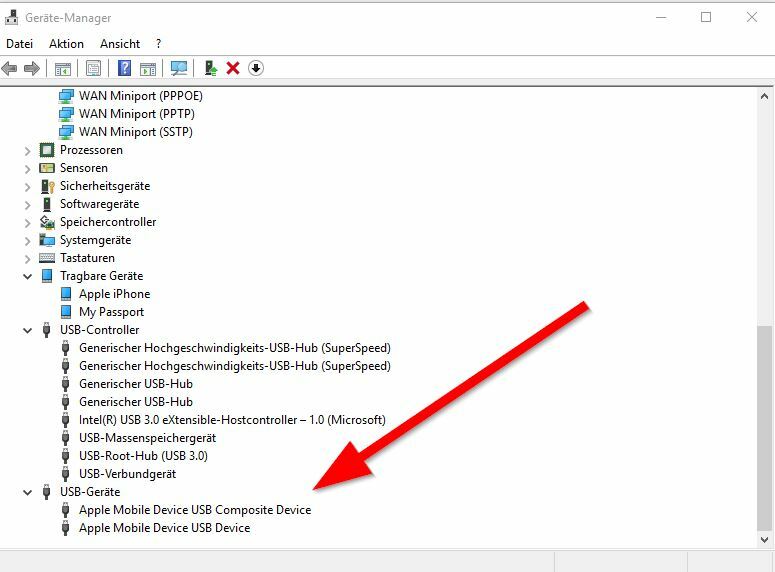 can devices connected to the lightning port take part in the phone's power managment? does the original Apple adapter have a lower power consumption? has anyone made similar observations when using HDMI, or VGA adapters on the phone? I haven't tested that with the standard earpods the phone came with yet. Same thing? I have tried the same with the original earpods (i.e. the ones with the lightning plug). This looks like a much more efficient setup. The discharge during the night is a lot lower. The curve drops in the morning when checking the night's mail and social media. Looks like I have to get myself an original Apple adapter for my Sennheiser earphones. I installed the latest version of itunes (Dec 2018 - 12.9.2.6) from the Microsoft-Store. This was the first time I did that. 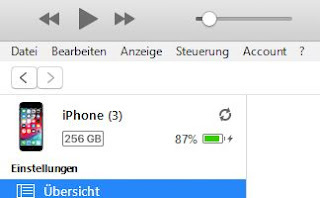 All previous updates were either direct downloads or downloads from within iTunes itself. Previous iTunes installers had uninstalled older versions and installed both the device drivers and iTunes. 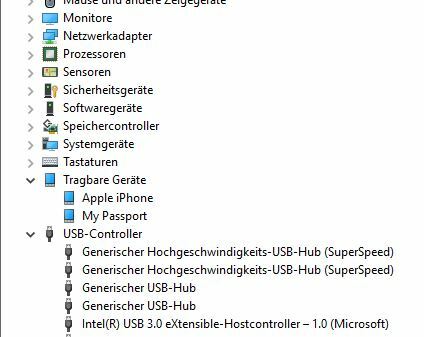 The version from the Microsoft-Store app removed the old iTunes and it's drivers, but did not install new device drivers. And sure enough, there is an Apple iPhone listed there. But that is not sufficient. Right-click the iPhone and click "update drivers". 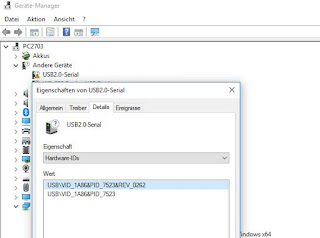 Let the PC look for drivers on the internet. Cool, a free Laptop! Now what? You can't expect stellar specs from a Laptop that goes for unter 200€, a 10 year old Core2 Duo will still have more processing power. Of course it has enough grunt to run the Chrome browser plus some apps at an acceptable speed. It easily beats my Raspberry-Pi's desktop performance. And despite being very plasticy, it feels quite sturdy and doesn not bend or creak. Quite unlike what Google probably intended, I installed Microsoft's Office 365 apps from the playstore. This integrates nicely with my E3 plan for Office 365. The usual Word / Excel / PowerPoint jobs are not much of a challenge for the little machine. The documents stored in OneDrive are instantly accessible. I tried some of my larger PowerPoint presentations and was amazed that all of them worked very well. Including the embedded videos. This installs a VM along with a terminal application and a shared folder. Everything looks and feels pretty much like Debian stretch. I also installed thunderbird as a proper e-mail client, gnuradio and gqrx. The latter two suffer from the still missing USB support, so they won't talk to external SDR hardware.